Today Spark Foundation and 20/20 Trust have announced that subsidised broadband is available to families in the Timaru District through the public libraries in Timaru, Geraldine and Temuka, enabling more students to keep up with the digital skills necessary for today. As classroom learning goes digital, students without broadband at home are at risk of being left behind. Spark Jump enables more children to go online outside of classroom hours and get on the right side of the Digital Divide. Families with children up to the age of 18 and no current broadband connection are eligible for the programme. They will receive a modem and a wireless broadband connection and pay $10 for 30GB with no fixed term contract. As a pre-pay service, the modem can be topped up at any time in the same way as pre-pay mobile phones. Spark Foundation partners with community-based organisations like 20/20 Trust to deliver wireless broadband to families without internet. The Trust is active in communities around the country and works with local partners to select families for the programme based on the eligibility criteria set by the Spark Foundation and the intent to support education. In the Timaru District, library staff in Timaru, Geraldine and Temuka will help families set up and manage their Spark Jump internet connections. Interested families should contact their nearest library to make an appointment to join Spark Jump. Adele Hewlett, Libraries Manager, Timaru District Libraries says Spark Jump will help close the access gap between families who can afford home broadband and those who can’t. “We’re passionate about empowering our community through education and it’s important to keep up with the skills necessary for today. Access to the internet is critical to ensure our children can develop the digital skills needed to excel at school and later in life but for some families home broadband is not affordable. We know that Spark Jump will help more children in our community thrive,” says Ms. Hewlett. General Manager of Spark Foundation Lynne Le Gros is pleased the partnership with 20/20 Trust is expanding the reach of Spark Jump to reach more families at risk of being digitally excluded. “We’re pleased to serve communities around the country with a truly useful product like subsidised broadband. We’re excited to see more homes in the Timaru District turn into digital learning environments to better prepare students for the digital world,” says Ms. Le Gros. According to the 2013 NZ Census, there were 62,000 households with school-aged children which said they did not have home broadband (or which did not specify whether they had broadband). 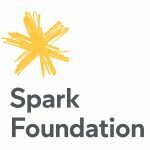 Spark Foundation has partnered with several organisations working in local communities around New Zealand including 20/20 Trust, Web Access Waikato Trust, Nga Pumanawa e Waru in Rotorua and DIGITS in Palmerston North. Spark Jump uses the Skinny Broadband platform and provides wireless home broadband via a 4G mobile signal connecting with the nearest cell tower. Families are provided with a modem to use at no cost, with the support from technology partner Huawei. Families with children up to the age of 18 who do not currently have a broadband connection at home and have suitable 4G coverage are eligible for the programme. Zoom, click & drag map to your locality. Click icons for details and local courses link.